Saying Thank you is a neglected activity. I taught my children to say “please” and “thank you”, and yet catch myself forgetting to say thank you in my day-to-day life. When last did you hear someone say thank you for something you did for them…or received a thank you note? Even as I write this, I know I am guilty. As we have explored the new discipline to rest, one of the important things I do when we I am quiet and paying attention, is to re-orientate myself towards God again. Remembering Who it is that I follow. One of the things I do is practice thankfulness. I do not thank God often enough. We all need reminding of God’s goodness. Not just we ourselves, but the people around us. We become so focused on what we do not have, that we neglect to see the good we already have in our possession. What has already been done for us and even that which we have already been spared of. God is good and if we take the time, we can recognize His goodness all around us. Practicing thankfulness is also a way for me to train my thinking. It is easy to get into a bad habit of coveting, comparing and complaining, where everything around us is just not good enough. When I am thankful, I am mindful of the source of all my blessings. It is so easy for us to think that it is our own abilities, proficiencies and resources, but it has nothing to do with us actually. Practicing being thankful, resets my heart and mind on the truth that God is sufficient and all I need. God being sufficient means that He is more than generous, with a father-heart focused on me, His child. I am aware of His protection, care, provision, guidance and blessing. It helps my heart and mind declare that He is indeed Sovereign, Faithful and Good. God can be trusted because He is Good. God Is Good and Works Good. 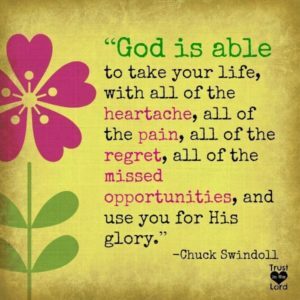 There are days when I doubt God’s goodness, His ability to be my sovereign God, and His faithfulness to me. On these days, I have to practice thankfulness. It does not come naturally to me to say thank you, therefore it is something that I have to practice. Practicing thankfulness, re-orientates my heart and mind, back towards God. It becomes the starting place of my prayers. Some of our exhaustion is based on doubt and anxiety about God’s goodness. We doubt that He is Sovereign and we doubt that He is good. As we try and control our lives and plug all the holes, we forget that we live under the umbrella of God’s goodness. It’s not just good manners to say thank you to God, it is also good for us. 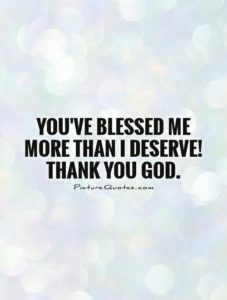 Just saying thank you, acknowledges God’s goodness. Lord, let every prayer of my heart start with the words thank you. I have so much to be thankful for, make me ever more mindful to practice this thankfulness in my heart and mind. Help me to remember the source of all goodness in my life, and to trust Your goodness in the future. Help me to recognize that You are good and work good things into my life. 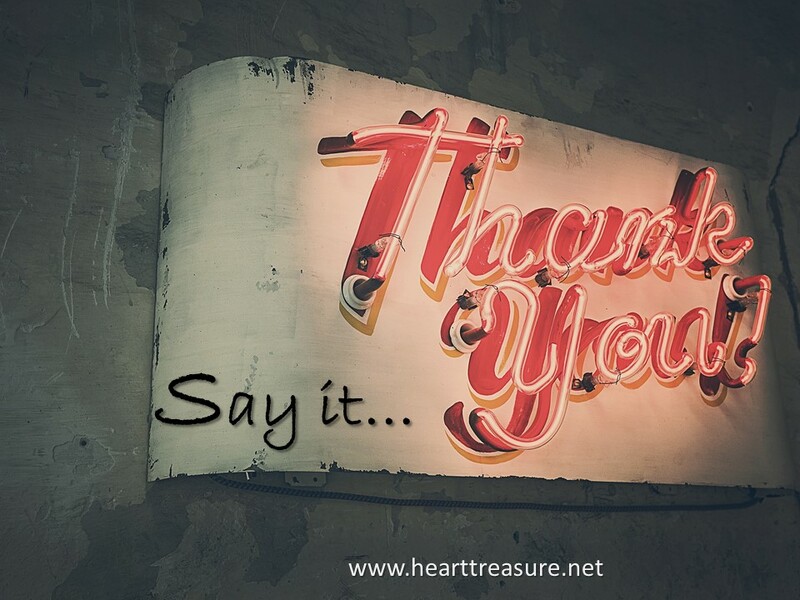 Add “Say Thank You” to your poster. Why not make a list of ten things you are thankful for right now?